You know Dasher and Dancer and Prancer and Vixen, Comet and Cupid and Donner and Blitzen. They were the original eight, also known as “The Eight Tiny”. So where did Rudolph come from, and why was he promoted, without exam, to the head of the pack? Townehouse Phoenix was able to acquire the services of an elf on the inside. Through the growing network of “Elves on Shelves” the ability to communicate back and forth freely has allowed us to bring the story to you. Remember folks, you heard it first here. Here is what we know of the circumstances surrounding the favoritism provided to the unknown reindeer who we now know as “Rudolph”. Originally, “The Eight Tiny” did as was expected of them. This went on for years and years, but the opportunity for advancement, the opportunity to improve one’s station in life was not presented. If a reindeer was in the back of the pack, they stayed in the back of the pack. There was no opportunity to advance forward, and there was no rotation of duties. The only way to move from the back to the front would be if a reindeer died, and that never seemed to happen. Eventually dissension broke out. Camps were established of like-minded individuals. The front for considered themselves superior to the back four. Donner was heard to complain about being named after a cannibalistic group Santa had observed when flying through the Sierra Nevada Mountain Range. Prancer complained of his nickname. “Lissen, just because I have a lisp, it is not right to call me Prancer. I am not that way. I am not anyway since Santa has us all fixed”. Santa, up hearing of the dissension in the barn decided to take action. He enlisted the help of a little known reindeer, who we now know as Rudolph. It is well-known that Rudolph had a shiny nose. What is not known is that this nose was not natural; it was surgically implanted by the surgeon elves. It not only glowed so bright, it was also a listening device. Rudolph was introduced into the barn, but kept to himself. He was stand offish and not the type to join in any reindeer games. Of course, by this time the reindeer games had become merely an excuse to fight between the front four and the back four. Rudolf would move around surreptitiously, eavesdropping on conversations and relaying every word back to Santa through the listening device in his nose. Rudolph was not accepted by the rest, but this is the way he wanted it to be. He wanted to be invisible, he wanted to be a fly on the wall, for this way he was most effective. Santa collected all the intelligence sent to him by Rudolph, and then he developed a plan. One foggy Christmas Eve Santa made an announcement. There was going to be a shakeup in the reindeer ranks. Rudolph the unknown was promoted to the leader of the pack. He would lead the others. This was unheard of. How could this happen? Rudolph who was never on the team, Rudolph who had never left the North Pole, was now the lead reindeer? All the other reindeer shouted and called him names, but to no avail. 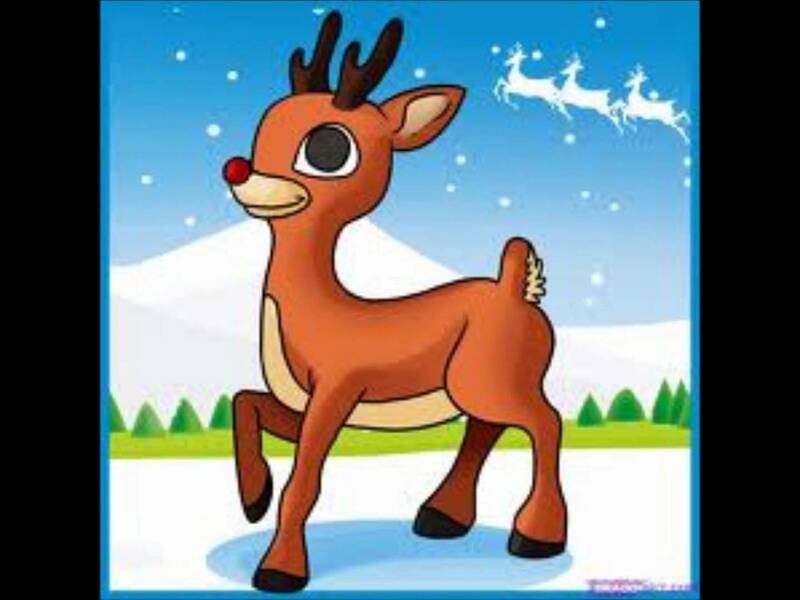 Rudolph was the HRWIC (Head Reindeer what’s in charge). That is how Rudolph the Red Nosed Reindeer came to lead Santa’s Sleigh and how it is to this very day. Yes folks, it is true. Rudolph is Santa’s Narc. That is the story as I heard it. I ca not verify beyond this as my inside elf was discovered by Santa and he has been assigned duties cleaning up the reindeer poop in the barn. His access to the Elves on Shelves has been totally cut off. We are attempting to send in an extraction team as soon as possible. Those are my lies thought, what are yours? writing childrens stories is off the list for you! Very clever and fun to read!